We have spent more than 160 hours of research on which is the best microdermabrasion machine you can use at home. With the help of beauty professionals, we have reviewed more than 40 models that are currently on the market and we have analyzed their features, such as power, durability, materials, price, user reviews, overall performance and value for the money. In order to give you accurate, in-depth information, we have prepared comparison tables and detailed information for the devices with the top performance and lowest price for the quality they offer. 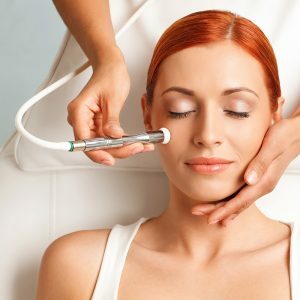 Read below to find out which is the best at home microdermabrasion machine to guarantee you youthful and flawless skin! 2.2 Is microdermabrasion good for your skin? 2.3 What is a microdermabrasion machine? 2.4 What types of microdermabrasion machines exist? 2.7 How does a microdermabrasion machine work? 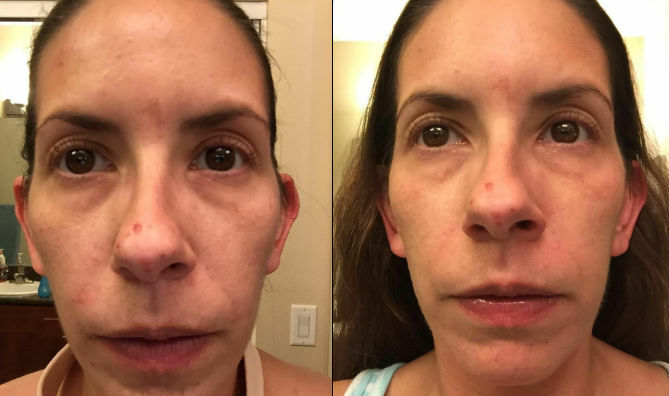 2.8 What is microdermabrasion at home? 2.9 Which microdermabrasion machine for professional use is best? 2.10 Which are the best brands for a microdermabrasion machine? 2.11 Will microdermabrasion help me get rid of blackheads? Microderm GLO at home microdermabrasion machine for glowing skin offers a similar effect to the professionally-performed salon sessions. The procedure is the typical in-depth skin exfoliation, eliminating the dull layers of your skin while improving the blood circulation and accelerating skin rejuvenation processes. With this device, you can easily and comfortably remove all the dirt, grease, contaminants, accumulated on your skin surface. 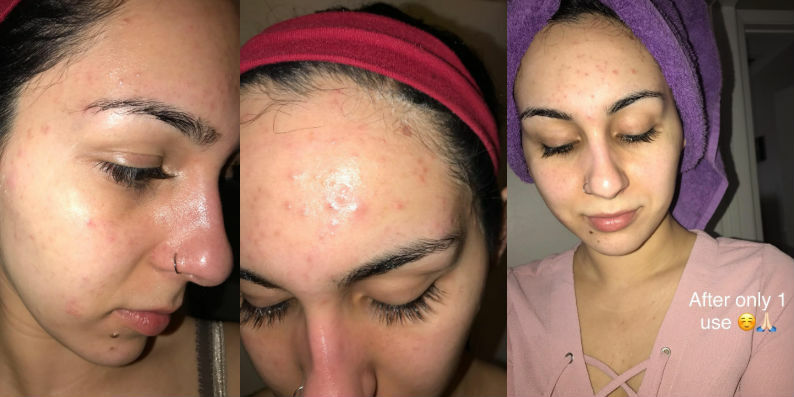 The method is perfect to entirely remove the makeup residue and dead skin cells, which are the most common reason for the appearance of acne and other imperfections. Unlike most at home microdermabrasion machines, this one is portable, does not take much space, and is easy to use – you can carry it wherever you like! 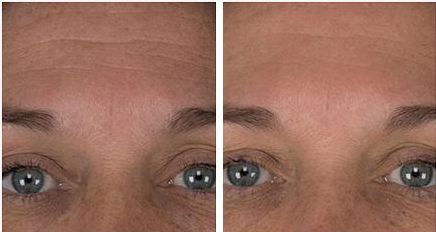 Those who bought this microdermabrasion system are extremely satisfied with its’ performance. According to comments, the results are almost immediate and the improvements can be seen within the first week if you strictly follow the directions and use the higher settings gradually to avoid potential irritation. It feels and works just like a microderm treatment in a med spa. I’ve been using it for two weeks already, and within first week my skin is no longer dull-looking. That is absolutely amazing! I waited a full month before doing this review as to make sure that it kept working as promised, it has! 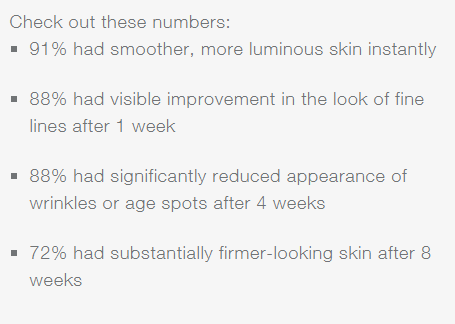 According to the manufacturer, 88% of women who regularly used the device, experienced decreased pore size and decreased wrinkle depth after 3 months. The vacuum feature is considerably strong (22in/Hg) and can be adjusted, according to your personal preferences. The device uses 100-220V voltage, which makes it suitable for all electrical power sources. In addition, you get premium diamond tips, a massage tip and a cleaning brush (each is designed to last about 6-9 months with regular use of 2-3 times per week) with (20) filter replacement pack. There’s also a user guide to lead you through the process. All the units can be placed in the portable carry pouch you get for free. 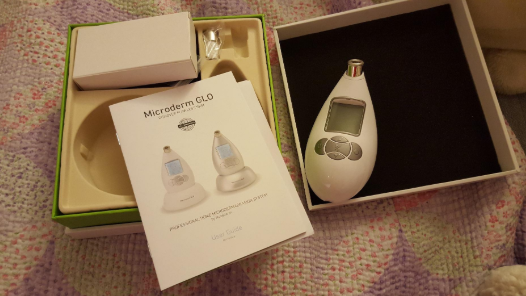 Read our Microderm GLO Diamond Microdermabrasion System detailed review here. Trophy Skin is designed to remove all the dirt particles, dead skin and excessive sebum, accumulated, while it also unclogs the pores, leaving the skin soft and refreshed. This type of in-depth exfoliation is a very effective method to obtain fresher-looking skin and even texture. 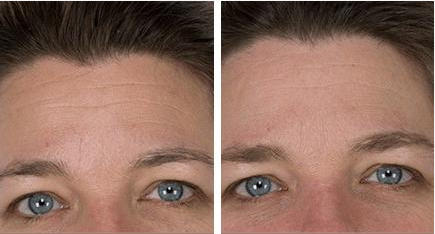 According to women using the device, it visible fades fine lines after a couple of sessions. This professional grade microdermabrasion system should be used twice a week and each session should last about 5-10 minutes only. It is that simple! With Trophy Skin Microdermabrasion System, you will be able to successfully eliminate age spots, brown spots and all contaminants accumulated on the skin surface, causing irritation and damage to your skin. When treating the area around the eyes, we recommend using the lower suction setting to prevent bruising and damage to the delicate skin. The professional-grade diamond tip wands ensure deep exfoliation, without leaving any residue on the skin. Read our Trophy Skin MicrodermMD detailed review here. The Kendal device is among the best-rated professional microdermabrasion machines, which is also suitable for at-home usage. It is a preferred option by both licensed professionals (such as dermatologists and aestheticians) and everyone, who would rather save some money and time on a salon treatment. 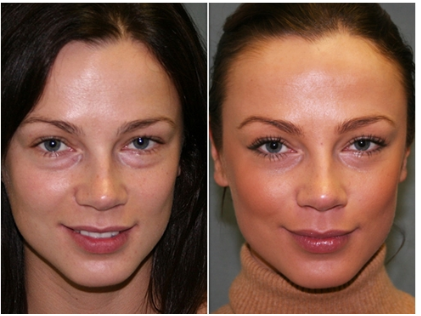 It is enough to perform a single microdermabrasion session once a week, which takes 5-10 minutes only. While you exfoliate, you don’t need to put too much pressure on the skin and we recommend moisturizing the skin after each procedure in order to obtain maximum benefits. This high-quality machine can be used with 9 different diamond tips, according to your skin’ needs. Note that the device is dermatologically-designed, which makes it even more effective option for your professional in-depth exfoliation – just like the one in your beauty studio but cheaper and less time-consuming! This powerful electronic device won’t leave potentially harmful residue on the skin surface, which is the main problem with crystal microdermabrasion. The suction feature is considerably more powerful, compared to similar devices, while you will be able to use fine, medium and coarse tips, depending on your skin sensitivity and desired effect of the treatment. Cleaning your device appears to be a very simple procedure, according to those who are using it – you can use a toothbrush and rubbing alcohol to clean and disinfect it. I am an Esthetician and I have been using this machine for a month. My clients love it! You do need to be careful with sensitive skin types and and I never put the suction past 15. I’ve seen great results! I used to spend at least $150 per facial just for a microdermabrasion session not including tip, and this machinery works just as well as professional grade and such a perfect cost! In conclusion, after comparing this Kendal device with similar options on the market, we do highly recommend it to our readers, as the effect is the same as a professional salon treatment, while its’ price is a bit higher (but for unlimited uses) than the single session (which costs around $150). Read our Kendal Professional Diamond Microdermabrasion Machine detailed review here. Neutrogena company also created an at home microdermabrasion machine, aiming to deeply exfoliate the skin, but unlike the devices above, it has a crystal tip. 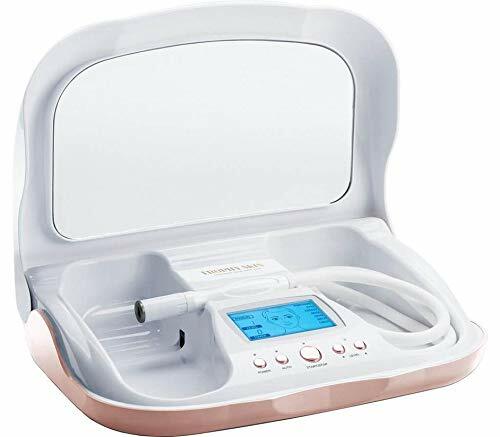 It is not the exact salon microdermabrasion machine but, according to the manufacturer, it offers a similar effect – a fresher-looking, thoroughly cleaned skin. This device is well accepted by most people, as this is the budget-friendly version of the diamond microdermabrasion treatment. 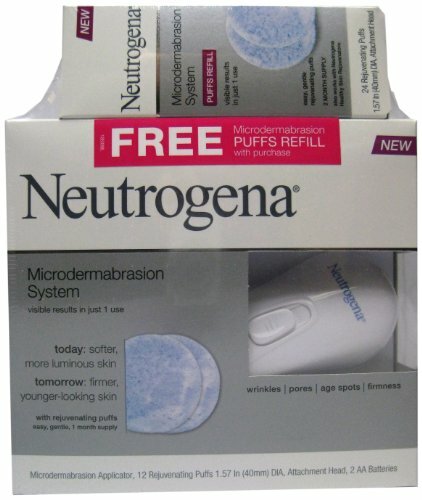 Neutrogena at home microdermabrasion machine is portable and easy to use. Half of those who tried it, are satisfied with their results. It did not hurt my face but gave it a good stimulating scrub. My face is so much smoother after one use and now after a month, it’s brighter and feels so much more radiant. The company manufacturer also posted a study, according to which, the effect of several sessions with this device will be more than promising. Unfortunately, we did not find any clinical data, proving these statements, so you should decide for yourselves whether this Neutrogena device will meet your expectations or not. 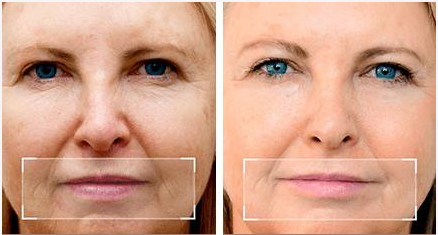 ProX by Olay Microdermabrasion Plus is receiving very positive feedback from those who tried it. The machine combines microdermabrasion and cleansing, which is an aspect most people enjoy, as it can be used on a daily basis – as a nice cleansing tool, and less frequently – as a deep exfoliating device. ProX is a battery-powered device, which makes the microdermabrasion sessions less intensive, compared to the professionally performed ones. 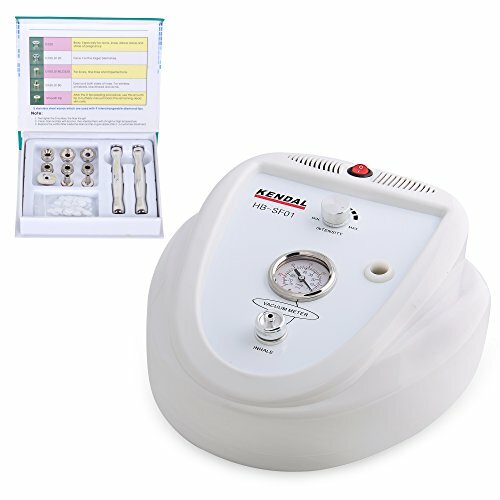 Among the hundreds of reviews, you can see people having mixed views on the performance of this at home microdermabrasion machine – some consider it a decent substitute to the professionally performed in-depth skin exfoliation, while others are not happy with the quality of the products they received. The Fragrance-free exfoliating cleansers, included in the pack, are the game changer for many. They are gentle, suitable for the most sensitive skin types, and will leave the skin soft and nourished. These aspects make the machine suitable for those with very sensitive, irritation-prone skin types. It uses a crystal tip – releasing aluminum crystals at a high speed. 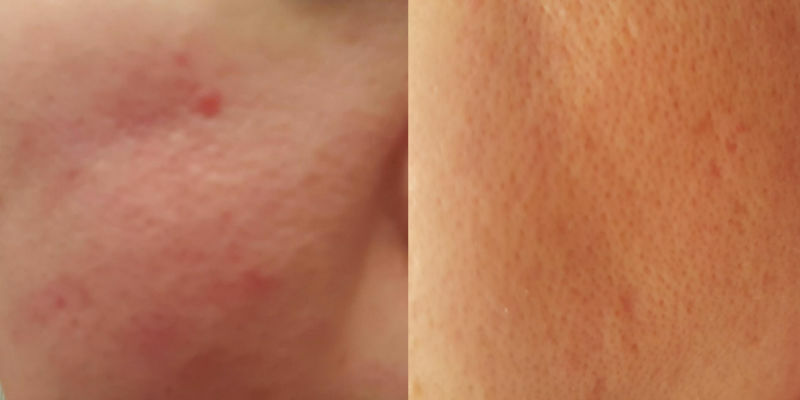 Unfortunately, the method is rarely preferred before the diamond microdermabrasion, as it is likely to leave residue on the skin surface, which may result in pore clogging and skin breakouts. The first speed allows you to perform your daily cleaning to the point where there is no makeup residue or dirt, clogging your pores. The second speed, the more intensive one, exfoliates the skin, removing the dead skin cells and sebum. 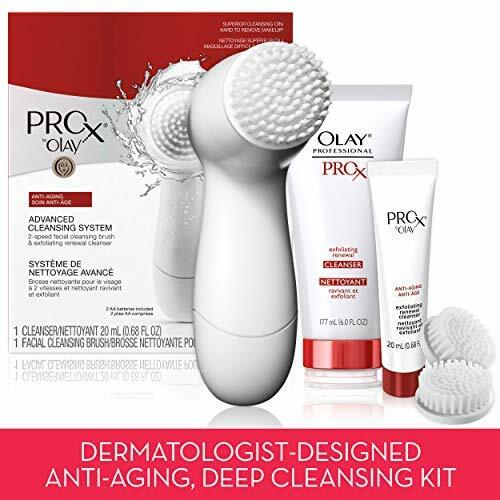 Read our ProX by Olay Microdermabrasion Plus detailed review here. Appolus is a 3in1 spa-grade beauty device with a diamond tip, providing gentle, yet deep exfoliation, eliminating the dead skin cells and blemishes and treating the uneven skin tone. 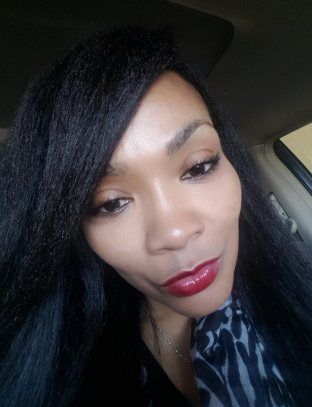 According to several people who tried it, a visible improvement in the facial complexion may be observed even after the initial microdermabrasion procedure. This at home microdermabrasion machine is easy to clean – just use rubbing alcohol to clean the exfoliating tip and for the vacuum tips, you may use antibacterial soap. This Appolus device is not among the best sellers and this is due to the fact that the overall performance is not that impressive. What we found really disturbing is the non-neglectable number of reviews, saying about defective products received. Additionally, there are multiple people who found it difficult to operate with this machine. So, we recommend taking into account the above-mentioned aspects before deciding on a purchase. The price of the product is very low, compared to other microdermabrasion machines, which is an indeed positive aspect. Also, besides the microdermabrasion function, Appolus combines a blackheads blemishes remover and vacuum extraction tip heads. What is more, people are very pleased with the effects of these additional features. 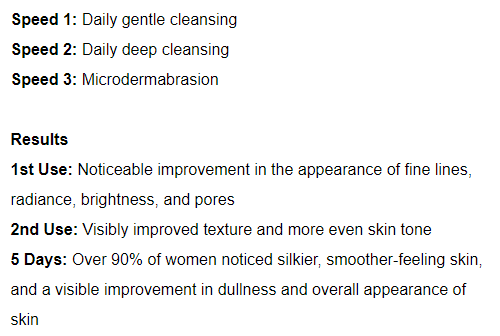 Read our Upgraded Appolus Diamond Microdermabrasion detailed review here. The order of our Best at home microdermabrasion machines is based on the technical characteristics of the devices selected, real user experience, satisfaction rate, and dermatologists recommendations. The greatest risk of microdermabrasion is if the procedure is performed in an unclean environment. This can lead to infections. There are also significant risks if the instrument used for the procedure is not clean after its previous use. Your at hhome microdermabrasion machine should be disinfected before and after each use. What is a microdermabrasion machine? At home microdermabrasion machine is a skin care device, providing a non-surgical resurfacing procedure by using diamond or crystal heads to peel and rub off the dead cells at the top skin layer followed by vacuuming/suction removing particles along with any dirt and dead skin left. What types of microdermabrasion machines exist? There are two types of microdermabrasion: crystal and diamond. Crystal microdermabrasion is used to reduce scarring on the skin and to exfoliate it. It launches small crystals that cleanse the skin in depth. Using light vacuum at the same time, the dead cells are pulled out. This method is still used, but it is rarely preferred because it is believed that diamond microdermabrasion is more effective. Diamond microdermabrasion – this is a method, where a diamond tip tool is used to remove dead cells, refresh the skin, or reduce acne scars on the face. This method may seem painful, but most people tend to feel a very slight discomfort. As with crystal microdermabrasion, there is a vacuum suction system for the removal of the dead skin cells. An at home microdermabrasion machine works by providing fine mechanical exfoliation in the absence of risk of side effects and a short recovery period. It is applied both as an effective anti-aging method and in the complex steps in the treatment of acne or other imperfections. 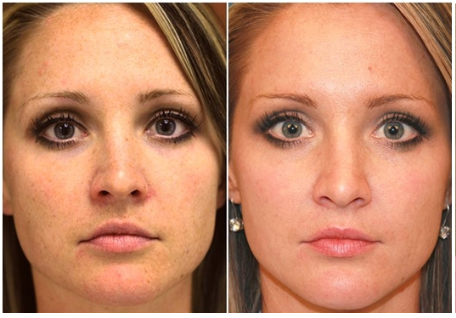 The procedure is suitable for people with all skin types. The method is designed to treat the facial and body area and combines mechanical peeling with diamond or microcrystal exfoliation and vacuum massage. The technology itself allows you to control the depth of the peeling, i.e. 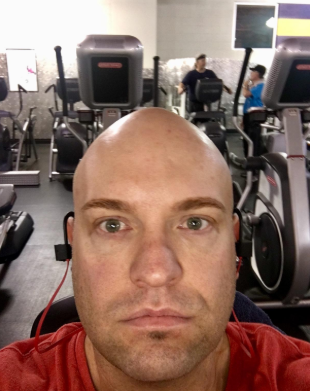 the depth of bloating is determined by the number of repetitions. The purpose of the procedure is to eliminate the skin imperfections in the epidermis and to achieve evening of the complexion, youthful shine, and freshness of the skin. The penetration of cosmetic products (according to the needs of the skin, these may be moisturizing, regenerating or cleansing agents) placed after microdermabrasion is significantly more effective. It is the very same procedure, performed at beauty salons/dermatologist offices. 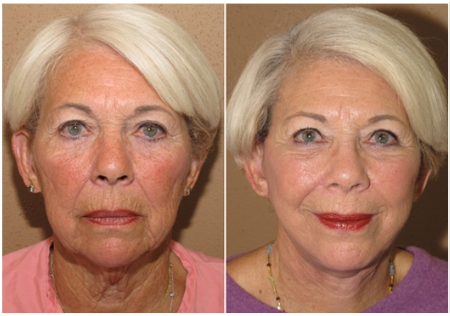 The only difference is the at home microdermabrasion machine, respectively – the intensity of the treatment session. However, there are both regular and professional devices for microdermabrasion at home, so everyone can choose, based on their personal needs and expectations. Which microdermabrasion machine for professional use is best? It depends on your personal needs and expectations. If you don’t have sensitive skin, any professional-grade microdermabrasion system will be suitable for you, as the machines, intended for professional use are more ‘aggressive’ and aim to provide instant results. We recommend the regular (non-professional) devices for people with sensitive skin, prone to irritations, as they offer ‘milder’ exfoliation and suction. 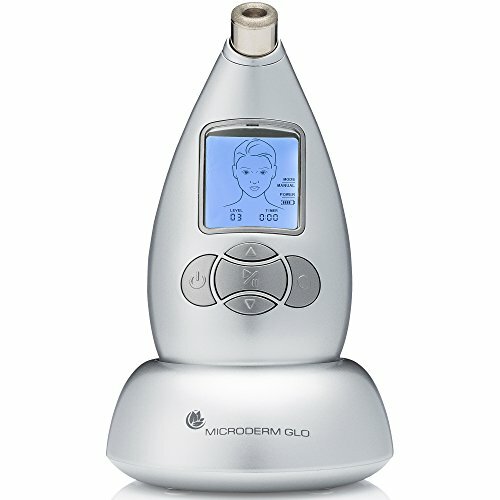 Which are the best brands for a microdermabrasion machine? The dermatologist-recommended – these are the brands with a proven beneficial effect on the skin. Will microdermabrasion help me get rid of blackheads? Yes – the first step of every at home microdermabrasion treatment is the deep exfoliation of the skin, followed by intensive suction. The more powerful machines can be used to extract the blackheads. 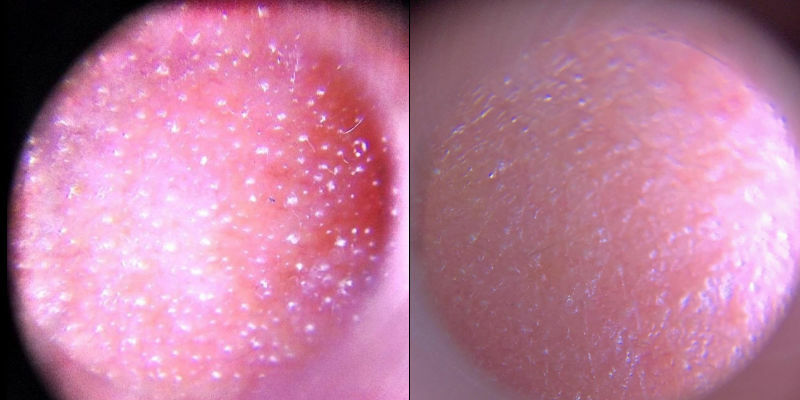 Microdermabrasion: a clinical and histopathologic study.